Dinner and a kaleidoscopic light show; Dinner With A View is a sensory experience. 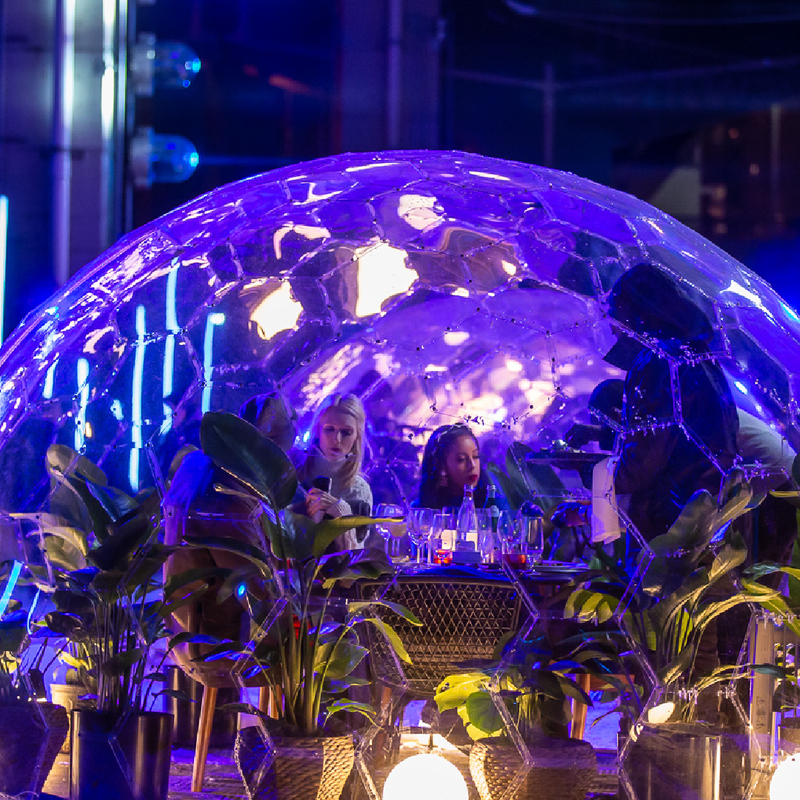 Thirty-plus geodesic domes sprouted up in Toronto for American Express’s pop-up dining experience, Dinner With A View. 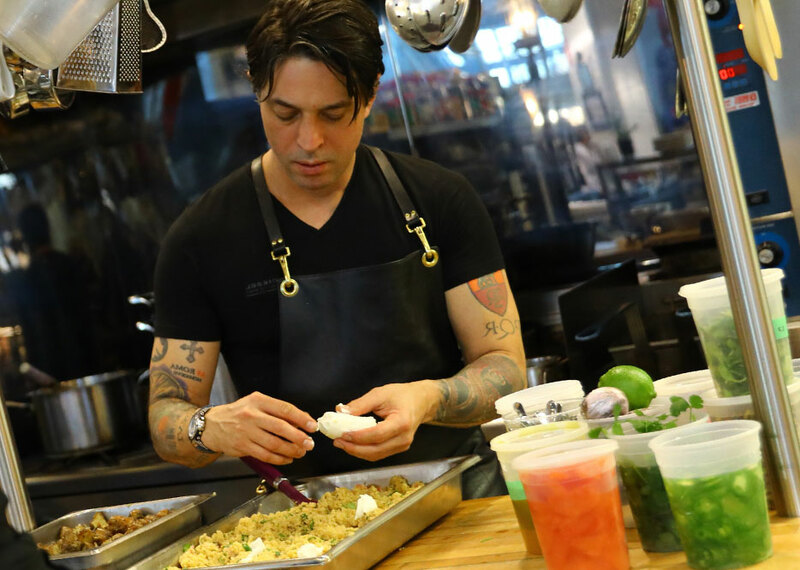 Top Chef Canada winner René Rodriguez created the French-inspired menu. Fitted with midcentury furniture and decorated with live plants, each dome fits groups of six comfortably and stylishly. 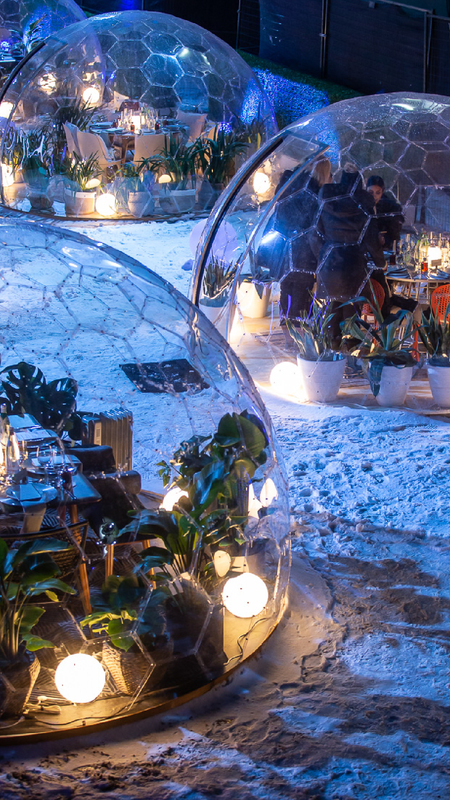 As the Toronto city lights blink to life around us, the 30-plus clear, geodesic dining domes welcome us with a warm glow of their own. 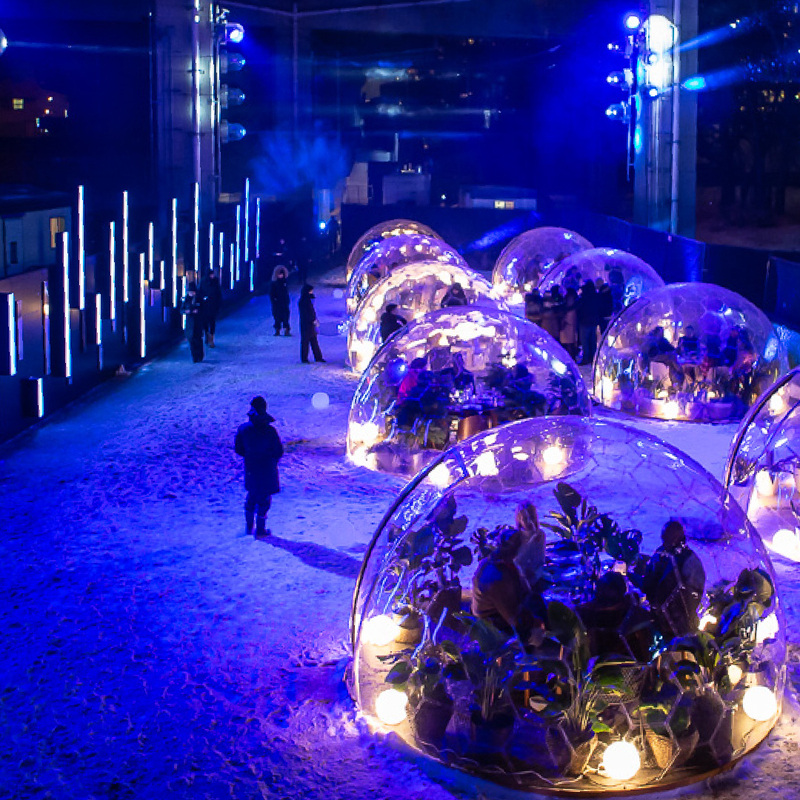 I’m at American Express’ roving, pop-up dining experience called Dinner With A View, located in the Bentway next to Historic Fort York and under the Gardiner Expressway, a creative public space dedicated to innovative, inclusive programming for the city of Toronto. If you miss out on the geodesic fun this year, your Instagram feed can capture the new look and feel the next time around: “Every year will be different,” Georgiev promises. Dinner With A View is on now until May 2 in Toronto and will pop up in Montreal from April 16–May 18, followed by Vancouver in November, and San Diego, California in February 2020.